I find Jaipur delightful. 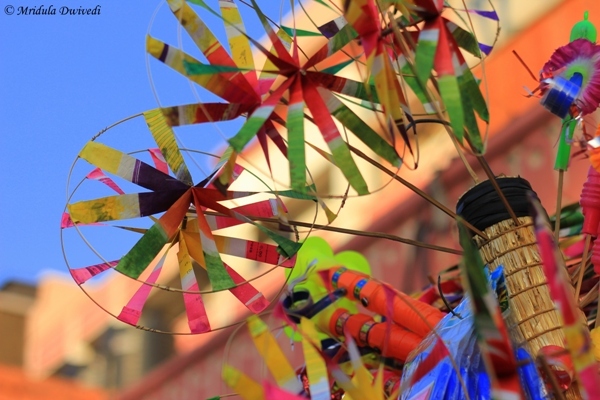 It is firmly established on the tourism map and yet it remains as charming as ever. 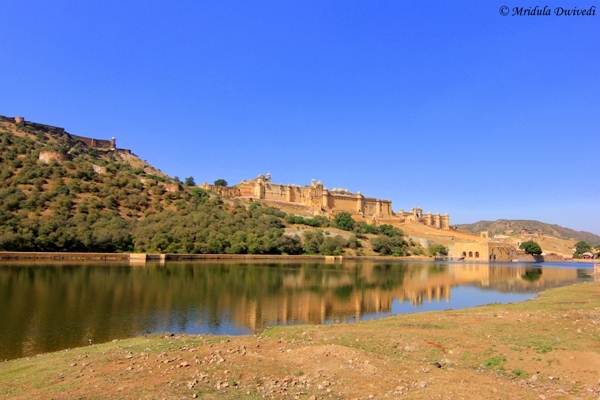 I have never been a fan of major tourist places but Jaipur by far is an exception. I like the colors, the food, the monuments and the shopping! 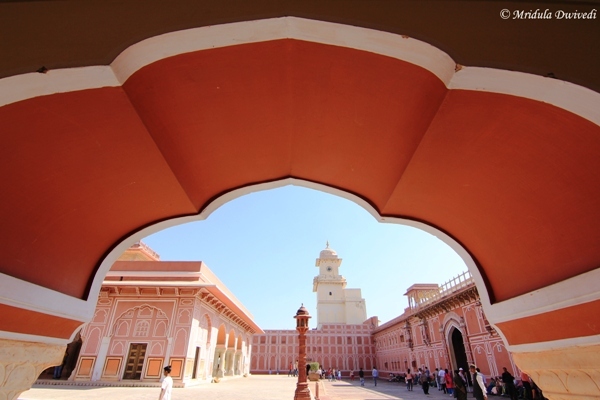 So, here are some pictures from a recent trip to Jaipur. Our first stop on this road trip was Satkar Dhaba for breakfast on the Delhi Jaipur Highway. 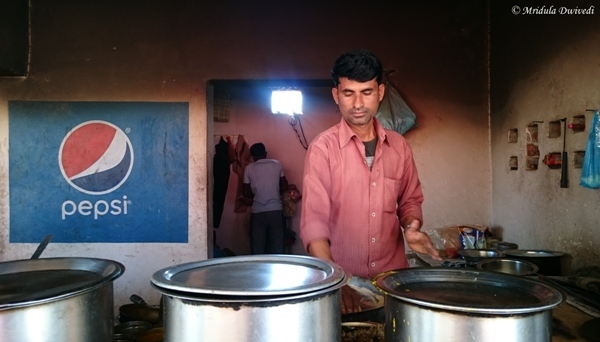 He made some real good parathas and chai. It was a good start to the trip. By now I have visited Jaipur many times. I have been to the City Palace before. I had the notion that I have developed a little bit as a photographer over the years. And yet all my pictures of the city palace from all the trips look exactly the same. I tried very hard to spot some improvement but failed to see any most of the time, the picture above is the only exception! So much so for becoming a better photographer! 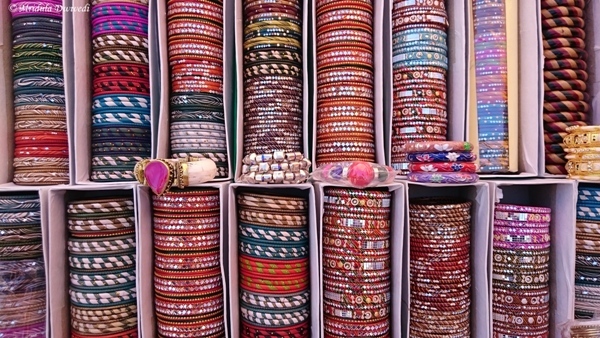 The bangles were being sold from a road side stall near City Palace. I had two excellent girls with me who could bargain well and all three of us bought the same design! My original title for this picture was ‘Bangles for Sale’ and then I told myself firmly to stop using my Management/Economics training on my travel blog. There is a place and time for everything and this is not the time or place for it. 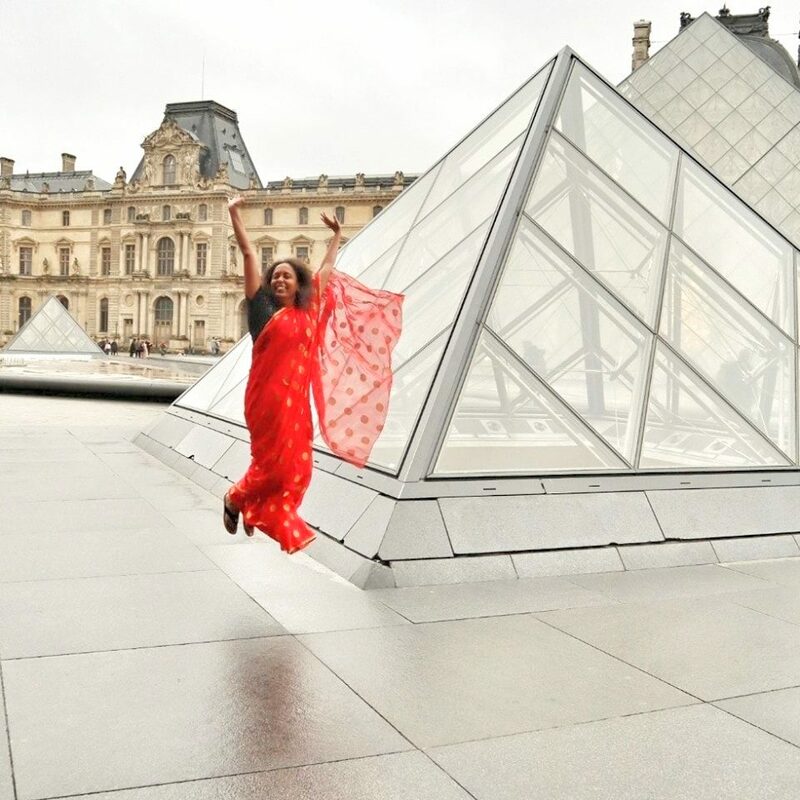 I was thinking a thousand thoughts looking at this picture, but then this also settles it, I am taking Chhavi to Jaipur, and sooner rather than later. She is going to love this. I am sure many of us have an iconic image of Jaipur in their mind. For me it is the Amber Fort. I have visited it so many times and yet every time I go, I admire it again! This trip was no different. I wonder when will I get bored with it? While getting out of the Amber Fort we had to take a detour through the narrow lanes of the city. It was chaotic as usual. 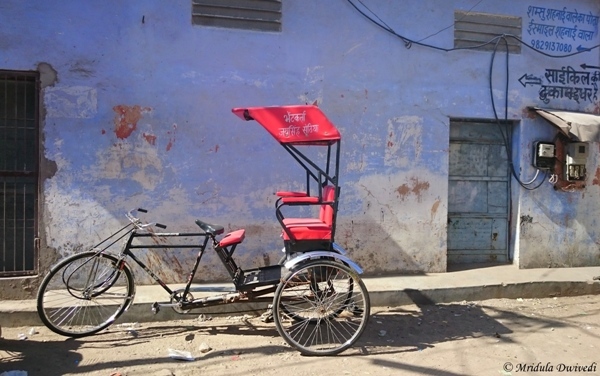 And yet there was this solitary rickshaw parked which I saw from my moving car! The serenity you see is a perfect illusion as there were 15 cars in the lane on the other side, merrily honking at each-other. 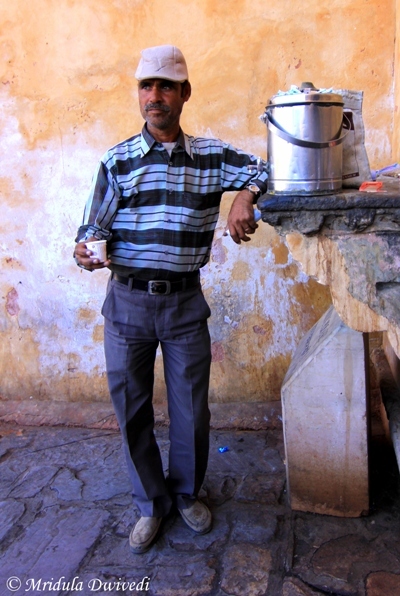 He was selling tea at the gate of the Amber Fort. I am a big fan of tea. I took a cup while going in and I took another when coming out. My guide remarked, “he is a good friend, why did you pay him?” Now why would I not pay him I asked him back, to which we all laughed. 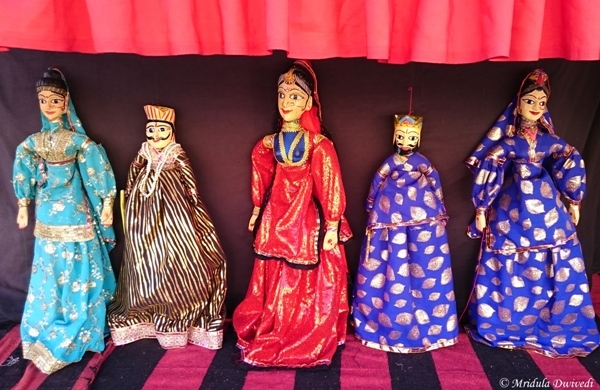 Whenever I have visited the City Palace I have seen a puppet show in its courtyards. This time was the same. I wonder how do they allocate the space to the artists? 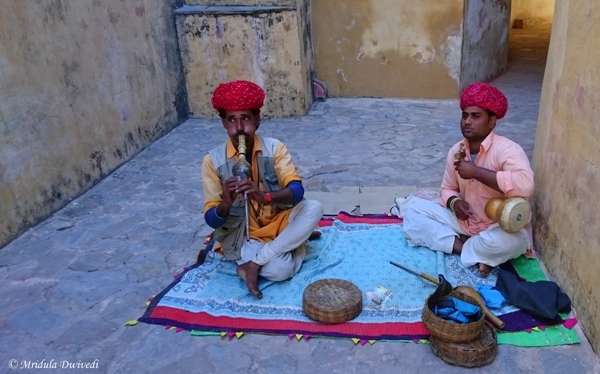 The courtyard of the City Palace is a prime location, and I am sure not just anyone can walk in and start performing. Next time, I am going to ask this to my guide. 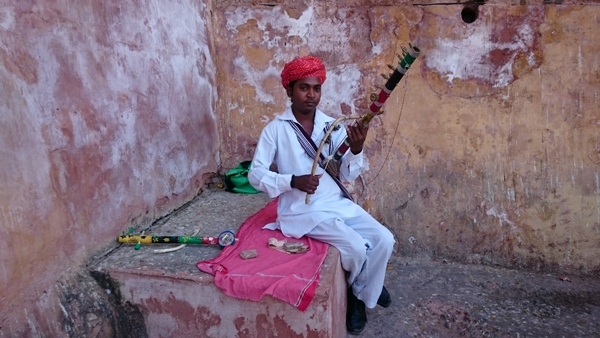 The instrument he is playing is called Ravanhattha. As the name suggests the myth is linked to Ravana from the Ramayan. Dig it up if you have not heard it till now! The last picture I post is once again from Amber Fort. I have a picture where I am sitting with the men but away from the snake. A young lady from our group actually went ahead and touched the snake! I was looking at the post and I was wondering why do I wrote in such a fragmented manner! But then I experience a lot of my travels in a fragmented, hurried way! There are no neat beginnings, hardly any time for soul searching and I almost collapse with fatigue by the time I reach home. To save leaves, I go back to work the next day as well.